Why managing user feedback in Google sheets is not a good idea? Collecting and analyzing user feedback has never been a waste of resource. Rather, they are considered to be pointers that help in making the important decisions. A lot of early-stage SaaS companies use Google sheets or Google forms in order to get their customer feedback. This works only when you are working very closely with your customers. But, when your customer base exceed, say 100–500, Google Sheets becomes complex and less interesting for your customers to submit their feedback to. You will be getting a lot of feedback through emails or calls. Now, your team has to interpret these problems and raise them in Google Sheets. 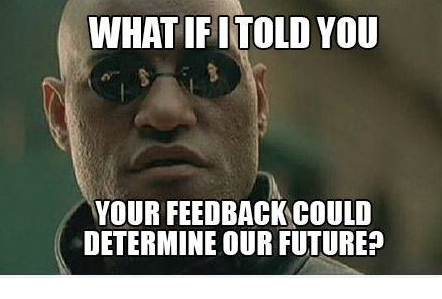 Most of the time, the feedback from your users needs more details to be even considered as proper feedback. With just emails as a medium of communication, 80% of the time, these less-detailed feedback /requests are ignored. With hundreds and thousands of feedback coming in, it doesn’t get easier to understand, analyze and decide on the next step to implement. Check the simple feedback sheet, which gets complex by the minute with deciding what is important and what is not a priority. In the above case, you can see Max and Liz asking for something similar to each other. If Liz and Max are given a platform to discuss this in a one place, they both can understand the need for “real” integrations. This particular SaaS team found that the Trello integration to their platform made it heavyweight and the ratio of people who used them is 1:50000 and, in addition to that, a lot of them preferred to go with Slack. If there was a way for the team to understand what the next step could’ve been, they would’ve saved money as well as the time spent on building the feature. After a fierce discussion with your development team, you finally have planned a “feature request” to be released in the next updates. Letting your users know about the advances your team have made with the request will make them happy and engage better with the product. But, this again consumes a lot of your time to reach out to them individually. Sending an automated email after submitting the form is never enough. They deserve to be updated about the status. Even if their feedback are rejected, let them get a message on that. This will increase the trust they have on your product and on your team. If not Sheets, what then? Sheets are easy to use and manage for feedback management until you have 5 or 10 users using your application. But when you are getting a lot of feedback and you value your users as much as your value your product, then Sheets will not make it any easier to manage feedbacks. Users can discuss about features and give great insights about the features in the next release. Your team can internally discuss on the feedback and update users about the status. Sign up hellonext and get 30 days free trial NOW. No credit cards required.